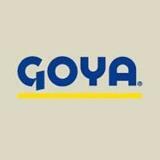 Goya foods Inc. is the biggest Hispanic-owned food producing company in America. Its headquarters are located at Secaucus, New Jersey and it produces various brand foods which are sold in United States and other countries like Puerto Rico, Dominican Republic and Spain. It was founded in Manhattan, New York City in the year 1936 by Prudencio Unanue Ortiz. The company specializes in providing Caribbean, Cuban, Central America, Mexican, Puerto Rican, and South America Cuisine to consumers. It produces over 1600 different products which are available in American grocery stores and supermarkets and also international markets. It employs a total of 3500 employees worldwide. There are currently 0 consumer reviews about Goya Foods Inc available. Share your review. Please take a note that you are about to post a public review about Goya Foods Inc corporate office on CorporateOffice.com. This review will be public, so please do not post any of your personal information on this website. If you would like to contact the corporate offices of Goya Foods Inc, please use their contact information such as their phone number, website, and address listed above to contact them. However, sometimes staff from Goya Foods Inc headquarters do read the reviews on this website.